I grow them every summer–Different varieties , various colors– they beautifully accent and brighten the desert landscape. Sunflowers have been a favorite art subject for ages, and it is probably because of their almost human-like characteristics, as noted on the National Sunflower Association site. Which other flowers do you see drawn with happy faces as much as the sunflower? I use the sunflower as a symbol of the potential greatness within each of us. 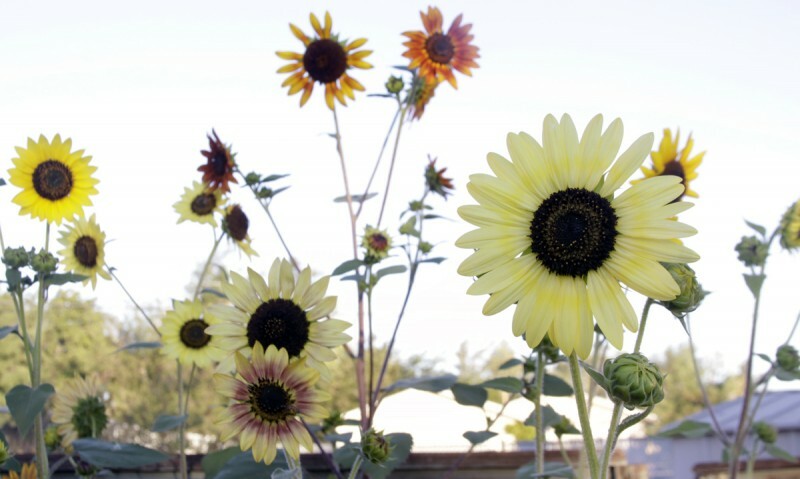 A single sunflower houses as many as 800-1200 seeds, depending on its size. Now that’s a lot of seeds! 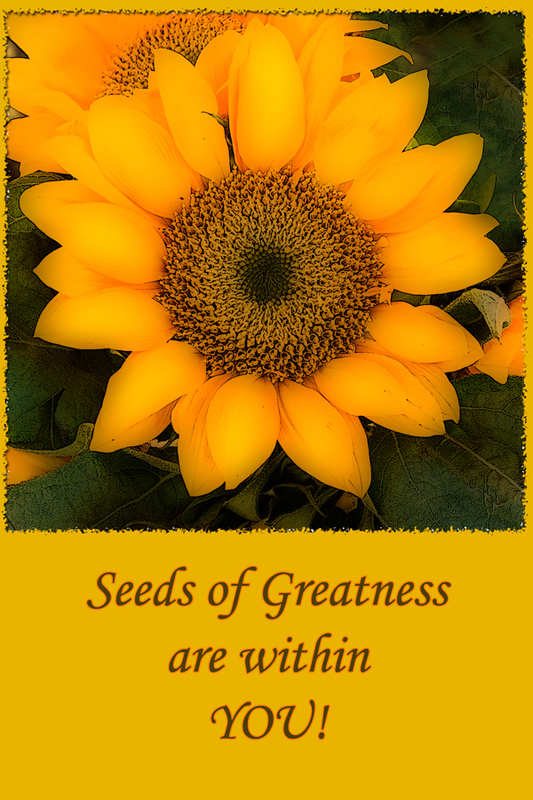 Whenever I go to teach, speak at an event, do a workshop, etc., I take with me 4×6 sunflower photos I designed that say “Seeds of Greatness are within YOU! I hand these out to my classes and others I come in contact with as a reminder that seeds of greatness are in them. I especially like giving them to children and teens as tools of encouragement. Each of us have seeds within us to do great things, and I’m willing to bet we have more than the sunflower if we look at our seeds as things we can plant in the lives of others such as an encouraging word, a helpful hand, a random act of kindness. We also have seeds of potential to do great things–to step out and make a difference in the world. That world could be your home, your neighborhood, your city. Yes, and we also have seeds to take risks and fulfill dreams that are in us. We’re told that so many leave this world with their potential untapped and dreams unrealized. Don’t let that number of your age stop you! Don’t believe that all you could be has already been used up. We are eternal beings. We are like a perpetual gift, forever being unwrapped with new discoveries within us. I encourage you to use those seeds of potential within you and grow them into the great things you were designed for, and the great things you can do. The world needs what you have. Why is this unlikely place called the richest place on earth?